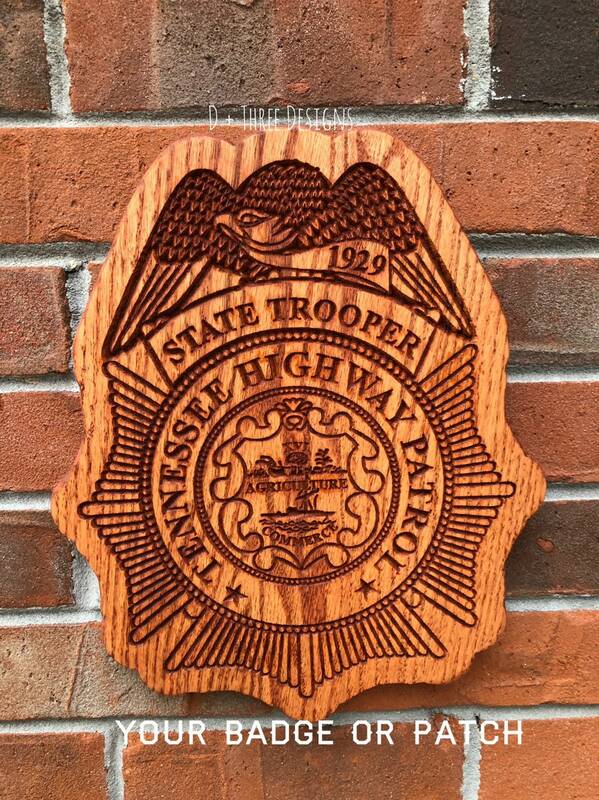 This is the perfect gift or wall piece for any Tennessee State Trooper or police officer. 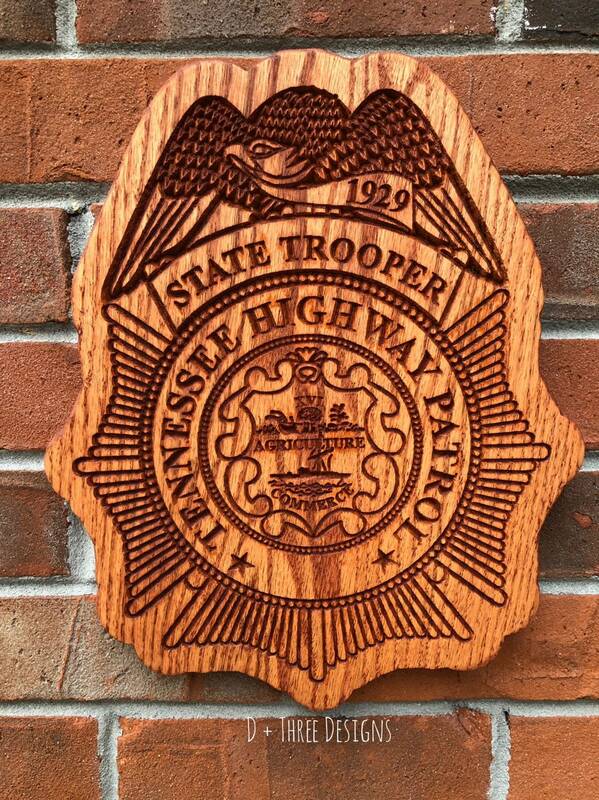 Show your appreciation with this State of Tennessee Highway Patrol wooden badge. It can be personalized based on the police badge number. 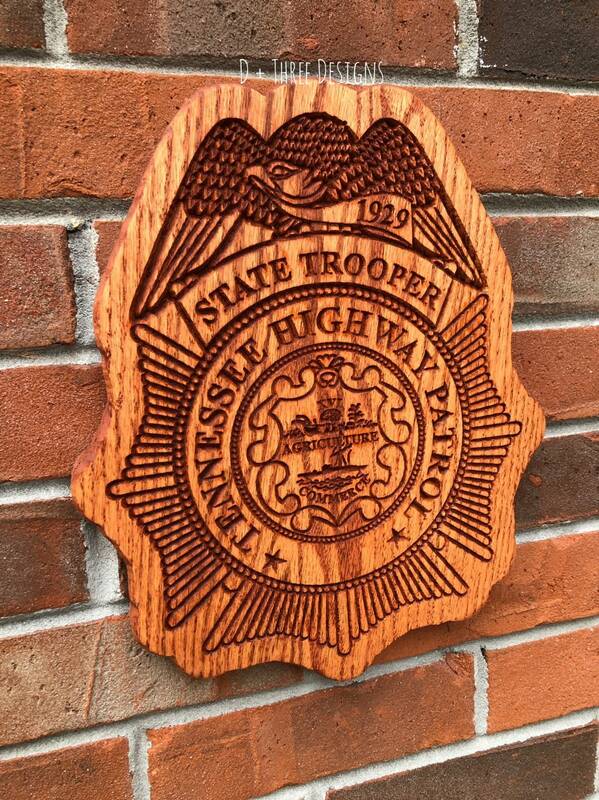 The wooden state trooper badge comes with a hanger on the back. 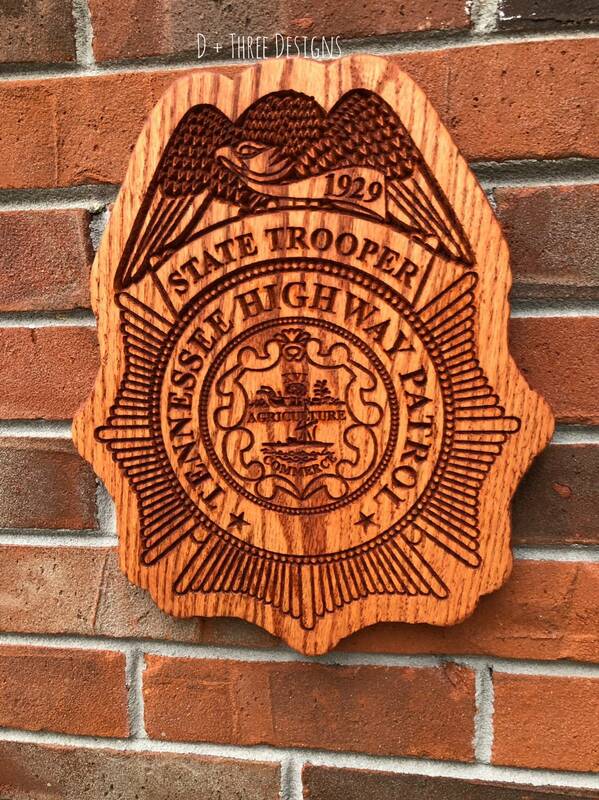 Made of 1" solid oak hardwood and measures approximately 12" tall. 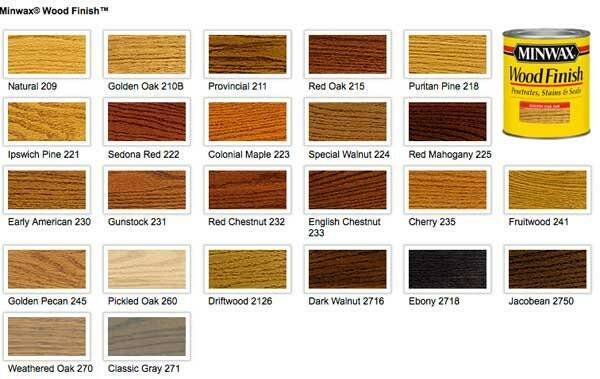 The color in the photo is gunstock stain. 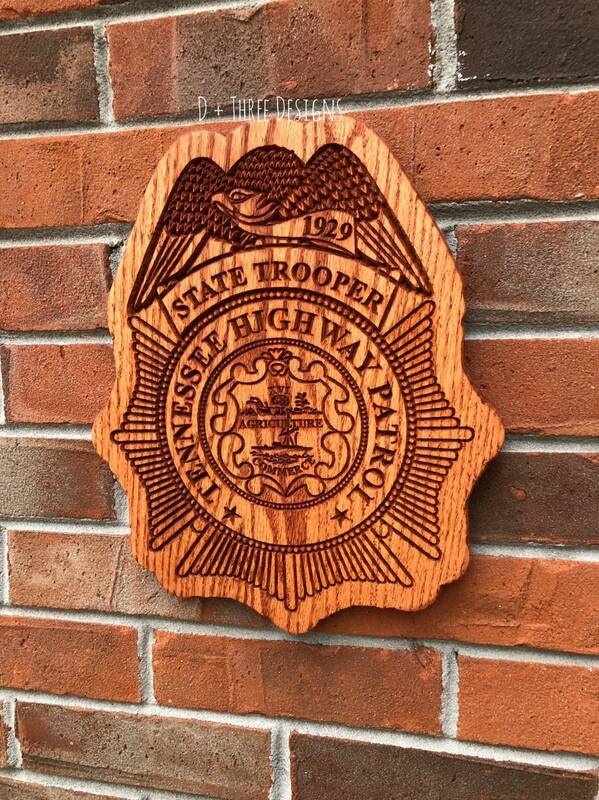 We can do any other state police badge, department patch, or police badge! 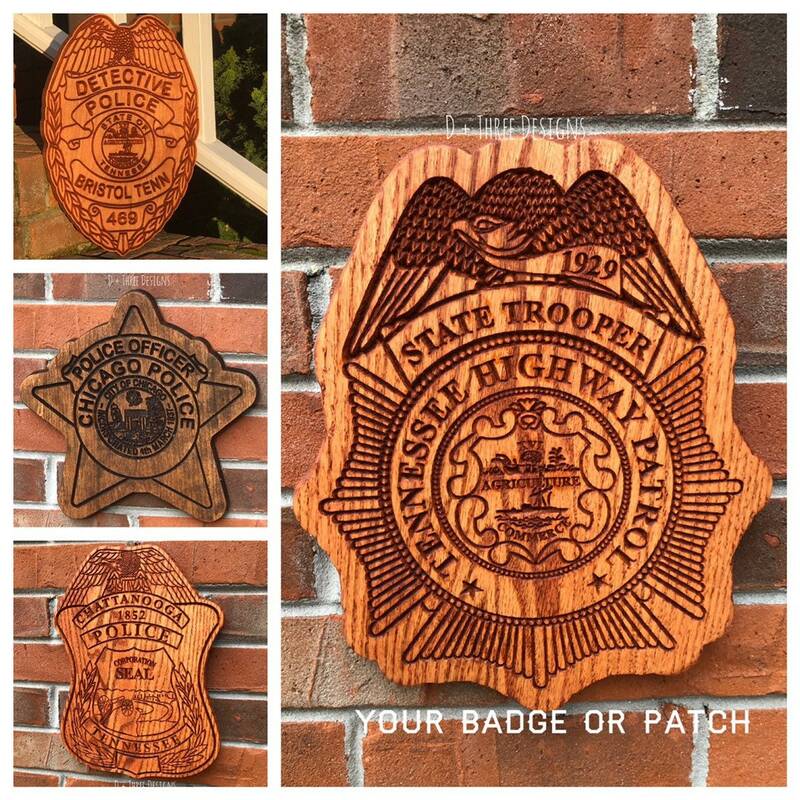 Just send us a message and clear photo of your badge, patch, or seal.